By all accounts, 37-year old Jeremy James shouldn’t be with us today. His five-month-old daughter, Gwen, is an even greater miracle. The odds were stacked against Jeremy surviving his childhood cancer diagnosis, let alone one day becoming a father. Yet, despite the odds, here they are today, thriving. “We always just call him our miracle baby,” says Jeremy James’ mom, Carey. While so many years have passed since Jeremy James beat his diagnosis, recalling the journey is still difficult for Carey and her husband, Kevin. “Jeremy James was born with craniostenosis. The bones in his head were fused together, and he had corrective surgery when he was 10 weeks old. He lost over half of his blood supply and developed complications. His kidneys shut down, and we almost lost him. Because of that surgery and the complications, he had regular doctor check-ups, much more than was usual for most kids. He started out life with lots of problems." “After that was corrected, he had a wellness check at 14 months, and the doctors found a mass deep within his abdomen. They sent us over to Valley Hospital, where Jeremy had a kidney scan and ultrasound, and they found a mass along the lower portion of his spine. He had no symptoms that we were aware of. Because he was so young, he couldn’t tell us. He had started walking at 10 months old and then, suddenly, he stopped walking and went back to crawling. Two months later, at almost a year old, he was walking again but with a bit of a hiccup in his walk. We didn’t know it then, but it turned out that he was having leg pain." “When they found the mass, his pediatrician sent us to UCLA Medical Center, and he was diagnosed with Stage III neuroblastoma and was placed on a two-year protocol. The tumor was the size of an orange, and they were only able to remove 90-percent of it. Jeremy James’ prognosis after diagnosis was a 50-percent chance of survival for two years and a less than 10-percent chance of survival for five years." “Six months into his protocol, Jeremy had a test, and they found his cancer had metastasized into his bone marrow. They had no standard treatment to offer. They told us they were going to change his protocol up a bit and didn’t know if that would do any good, or they could do a bone marrow transplant, but they hadn’t done that before for neuroblastoma." “He weighed 25 pounds when he was diagnosed at a little over a year old. Six months later, after going through treatment, he weighed 14 pounds. He had to be hospitalized and had to be on IV fluids because he was so sick. We didn’t think that they could help him, so we took him home." “His sister was six at the time and his brother, Daniel, was four. The doctors told us that we would need to explain to them that Jeremy James wasn’t going to survive. This all happened in November sometime, so we did our very best to make a good Christmas for Jeremy James and the kids because we thought it would be our last with all of us together. But, he didn’t die. He survived." Carey also credits Candlelighters, which at the time was just in its infancy as an organization, for helping the family through Jeremy James’ journey. “We were so young. We got married at 17 and were 23 when Jeremy James was born. And, I just remember thinking our life would never be the same again. Our life would be ruined because we were going to lose our baby. This was 35, 36 years ago. 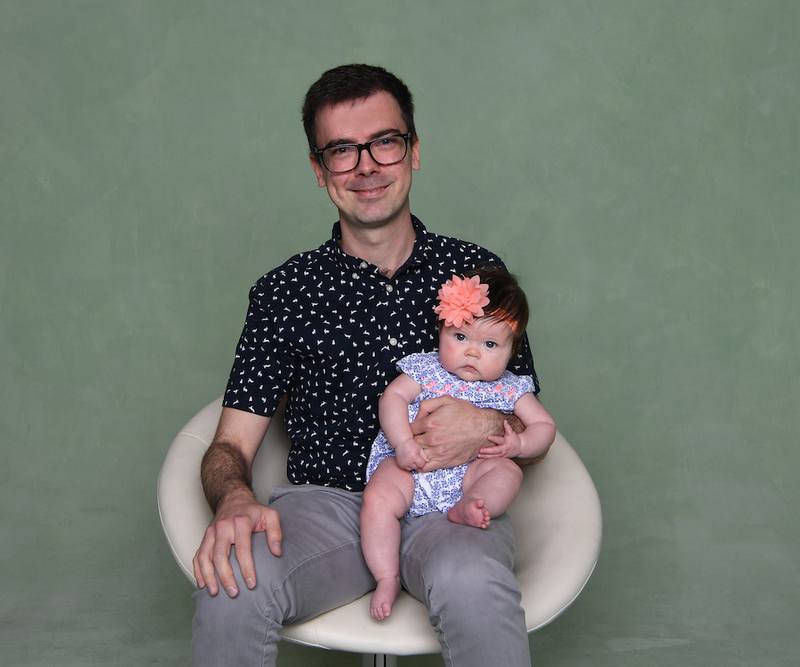 Jeremy James had been through so much as a baby, and we thought, ‘Well we got through this, and he’s going to be fine,’ and then he has the cancer diagnosis and his survival statistics weren’t so good. We were pretty discouraged, to say the least." “People don’t know what to say to you, so they just avoid you. Our family and friends stopped calling us, and we felt very alone and isolated. We met a Candlighters family, the Cozarts, whose son was in the hospital with asthma. Their daughter, Jennifer, had been diagnosed with Wilms tumor two years earlier and they told us about Candlelighters. 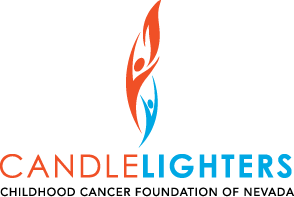 Candlelighters became the family and support system we so desperately needed." “I grew up in Candlelighters,” Jeremy James shares. “And, for the most part, I remember the various parties and fundraisers. It just became an opportunity for me to meet a lot of kids and make a lot of friends. It allowed you to be a kid for a little while, even if your friends might be in a wheelchair. If you had prosthetics, you didn’t get looked at funny by anyone because it was normal. I didn’t have any outward effects, just some scars on my belly, but still in other settings you are stigmatized. And, in that environment, you were just like everyone else. I have a lot of fond memories of Candlelighters." “Back then, I would have given anything to know of a kid that was 37 years old and that he made it,” says Carey. “To see a picture of Jeremy James with his beautiful baby girl and know that there is hope. It is so important to share our story for others. I know it was unusual that we got so lucky, but there is always hope. Even after all this time has gone by, I think about it every day, and I am grateful every day."